Afer 3 and a half week of walking on the path of enlightment, Magda and I did a sort of retrospective and discussed what we could do better the next weeks. We found out that it would be very helpful for us to have a visual overview of our project like a class diagramm or something like that. We also realised that is very important to document our code with comments and a Read Me. this is important because it halps to understande code you have written weeks or months ago. 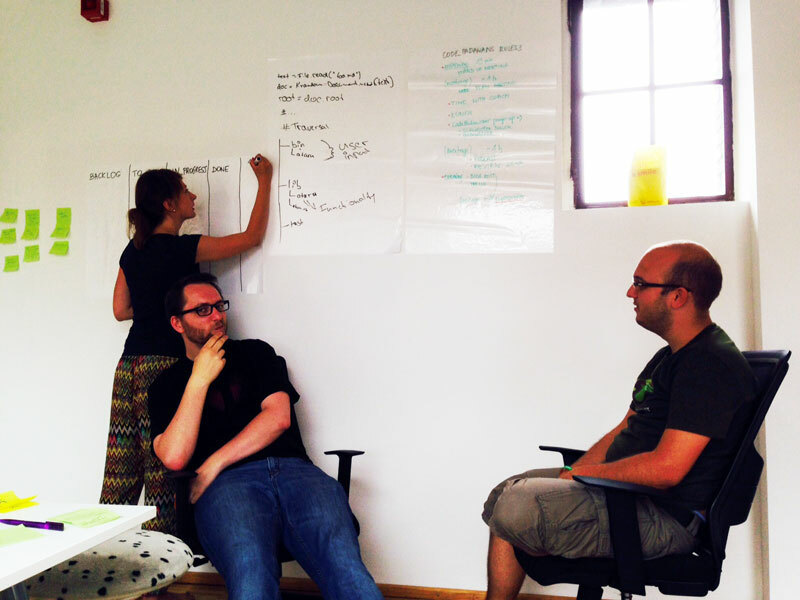 We also came to the conclusion that it is important for us to work out more structure of our project. For this we decided to have a 2 hour meeting every monday where we can discuss the features we want and how to implement them. The last point is to spend some time of the day focus on programming basics like doing a ruby tutorial or reading a book.